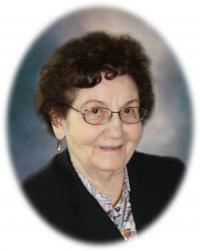 It is with heavy hearts that the family announces the passing of Josephine Hamdon on Wednesday, June 1, 2016 at the age of 91 years. She is survived by her loving family, four children, Jeannette (Gerald) Russell, Emilie Reid, Mohammed Ali (Darlene) Hamdon, and Faye Lee-Morrison (James Morrison); seven grandchildren, Andy, Nadine, Lisa, David, Dean, Tysier and Jordan; twenty great grandchildren, as well as extended family members and many dear friends. Josephine was predeceased by her husband, Mohammed Ali; grandson, Rachied Reid; and son-in-law, Art Reid.